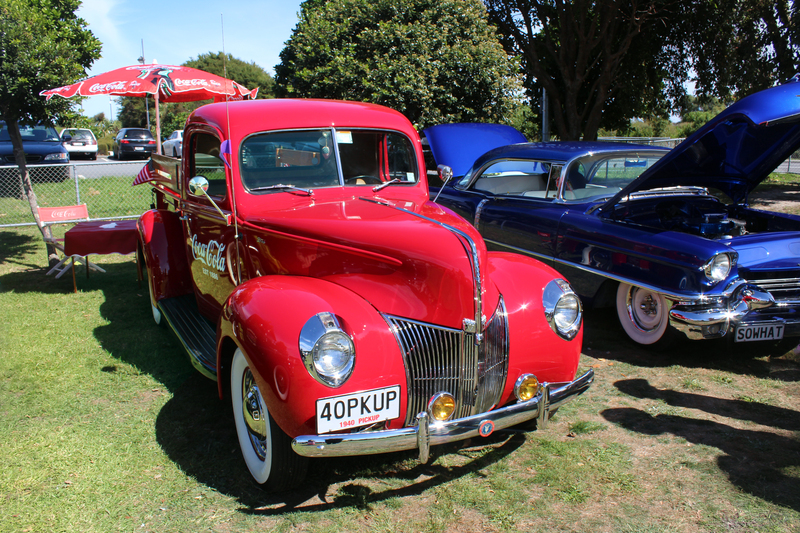 Despite the plate, this is a 1941 model Ford Pickup, although it may have been made at the end of 1940. The owner is obviously a Coca-Cola fan. 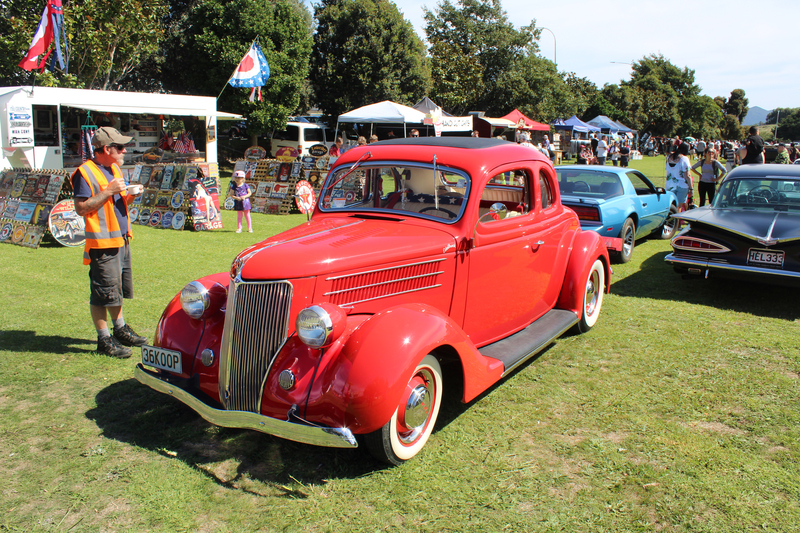 1936 Ford Coupe. 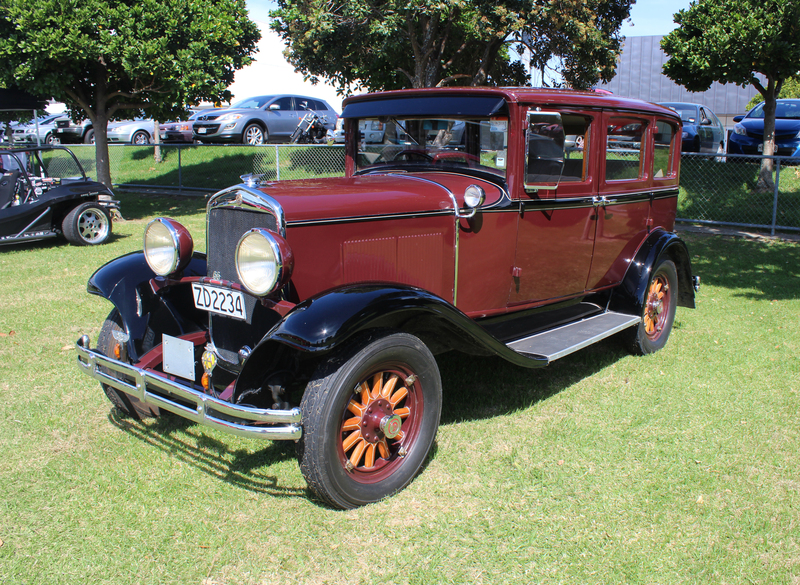 Anything post-1932 is liable to be hot-rodded, but this doesn’t look to have received much. a 1969 GMC C10. 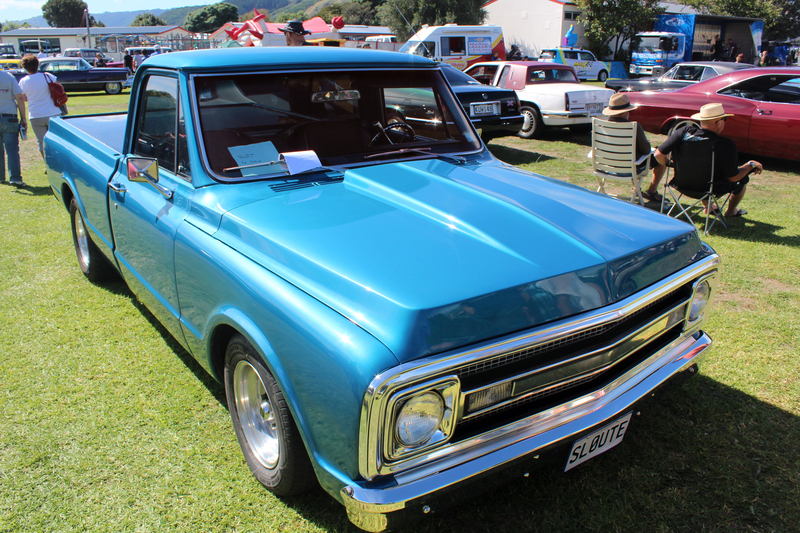 The term ‘ute’ is Australian/NZ — in America they are called pickup trucks. 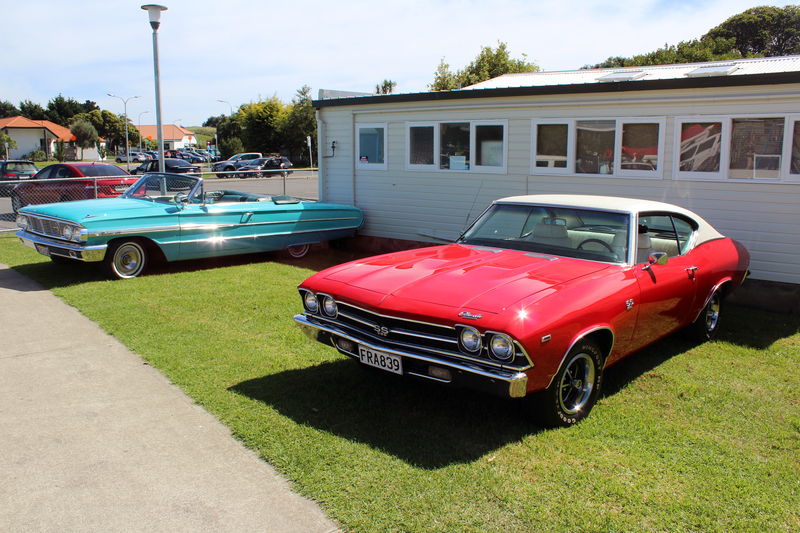 a 1969 Chevrolet Chevelle (a medium rather than big sized car by then American standards) and further over a 1964 Ford Galaxie convertible. 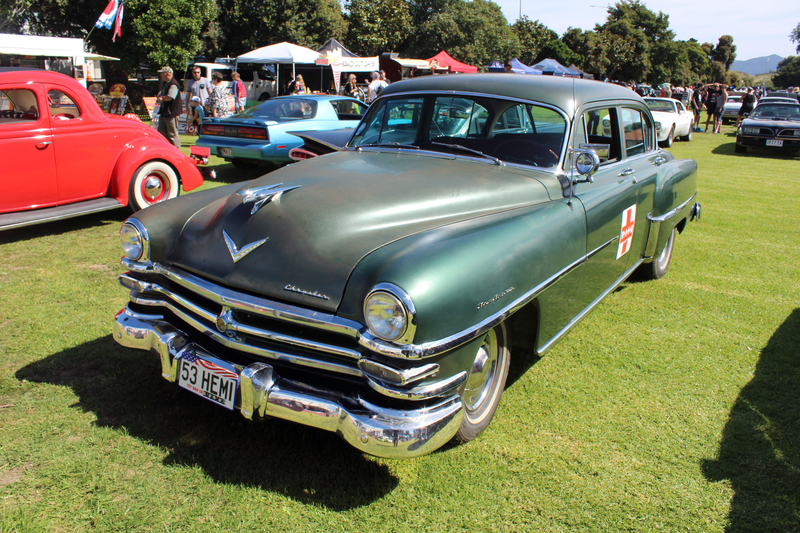 1953 Chrysler Hemi (a reference to the engine). The owner has put a Korean-war era MASH sign on the door which stood for Mobile Army Surgical Hospital.